The future missionaries we went to seminary with had a unique quality: they felt a calling to a people group or to a specific place. Before they left the states, they studied the language and got to know the customs of the people they were going to live among. They made strategic plans to be at the right places at the right times to meet as many people as possible. They had a deep and genuine love for this group of people they hoped to reach with the gospel. 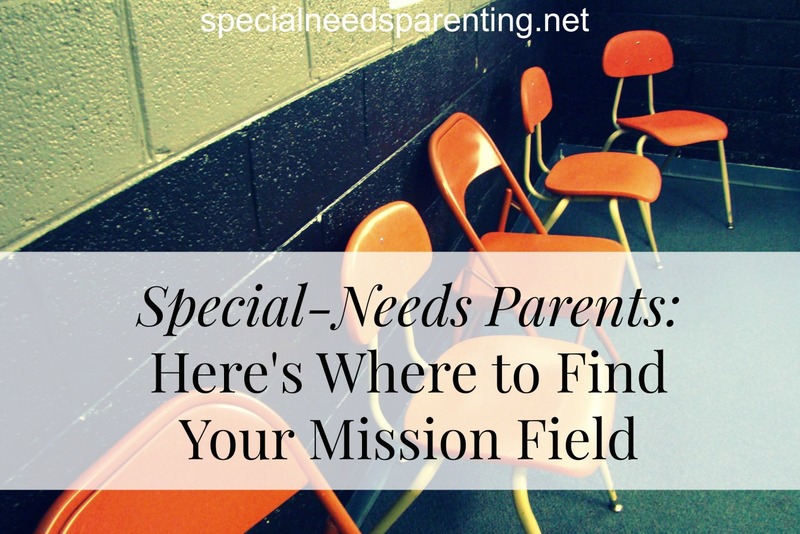 Guess what special-needs parent–you have been called to reach a specific people group too. You have a mission field. You already speak the language. You already hang out in the same places. And God is probably growing in you a deep and genuine love for this group of people.